Deep, dark and BEAUTIFUL! Our girl Raven is showing everyone that it’s not scary to be intense! 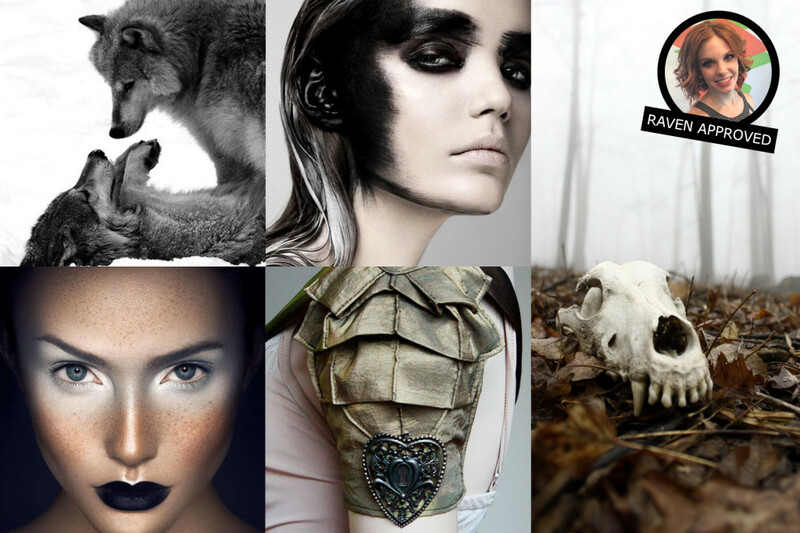 Dive into the depths of your creative well with powerful creatures, natural textures and black lips which fit perfectly with the changing weather. Contrasting colors and fabrics allow statement make up to touch the dim reaches of the soul. This look works well with her love for steel hair, and her latest obsession?? Bones on bones on bones!